Finally we have our man! After a few years of trying to get him to sunny Manchester , Yoga Manchester are thrilled to announce details of a weekend workshop with the inimitable Ashtanga Yoga authority Eddie Stern. Eddie will be in Manchester to teach a weekend workshop and to promote his forthcoming book ‘One Simple Thing: A New Look at the Science of Yoga and How It Can Transform Your Life’. 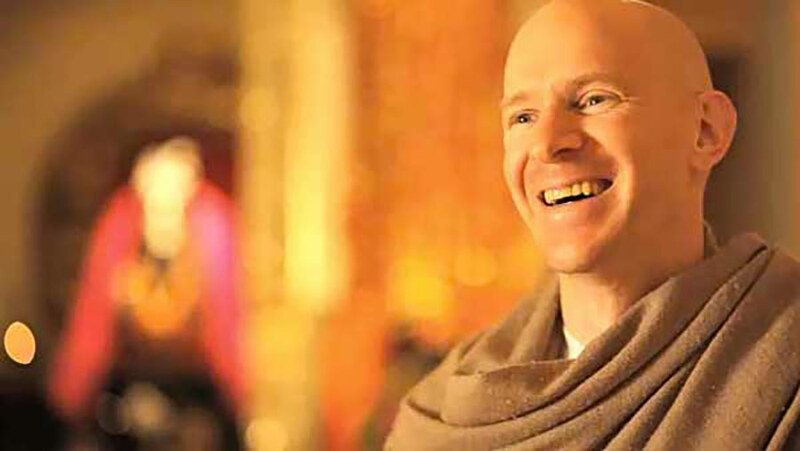 Eddie Stern is an Ashtanga Yoga teacher, author, and lecturer from New York City. He is the co-founder of Brooklyn Yoga Club, Ashtanga Yoga New York, Broome Street Temple, Namarupa Magazine, the Urban Yogis, and Breathe, Move, Rest, Inc. He studied Ashtanga Yoga under Sri K. Pattabhi Jois from 1991 until his passing in 2009, and continues to study with Sri K. Pattabhi Jois’s grandson and successor, Paramaguru R. Sharath Jois. The weekend will include led classes , Mysore sessions , lectures and puja. Please check back for individual class descriptions and timings. The workshop will begin on Friday evening 7pm-9pm with 2 sessions on both Saturday & Sunday. 7.15pm – 9pm The Manchester Led Class. This will be a full primary series talk-through class accompanied by a soundtrack comprising of the very best music from Manchester. 10 am – 12pm Lecture – Life As Ritual: This is a two-hour lecture on how every act that we perform in life, including yoga, can be performed as a ritual that lead us towards deeper levels of awareness. 1pm-3pm Ashtanga Yoga Primary Series Led Class – this class will be in the traditional counted vinyasa style. 10am – 12 pm Mysore Style self-practice session. ( Please contact us for further information on this session if you are not familiar with the self-practice method). 1pm-3pm Lecture – Ashtanga Yoga: Purification of Body and Mind. This is a lecture on the eight limbs of yoga and will include a Q&A session ( please bring your questions with you!). Cost: £160 / £130 Early-Bird Price if booked and paid in full by June 1st 2019. Individual sessions £35.